The Sandbar ultimate party boat is made for those who want to spend the day at the gathering place on any waterway. 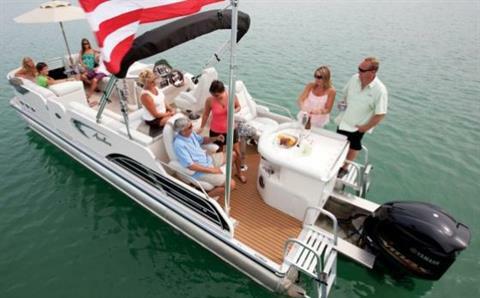 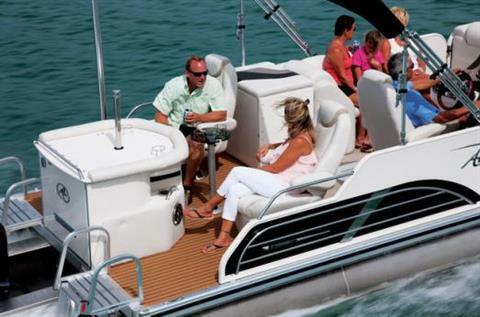 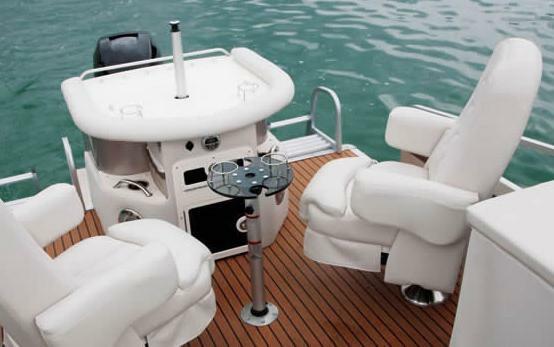 Race to your destination on the standard triple high performance pontoons, and when you get there enjoy the rear bar and music center & the reclining rear lounge chair with footrest. 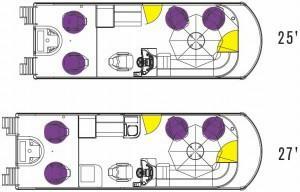 Or move to the front where a dinette with umbrella awaits. 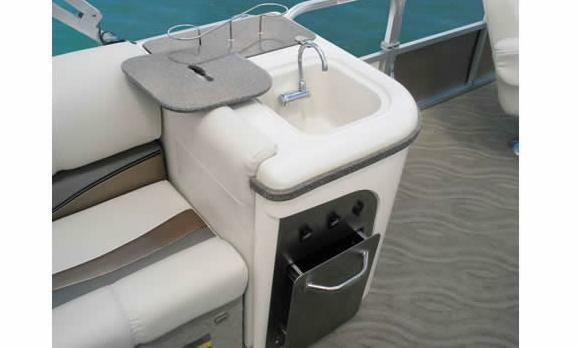 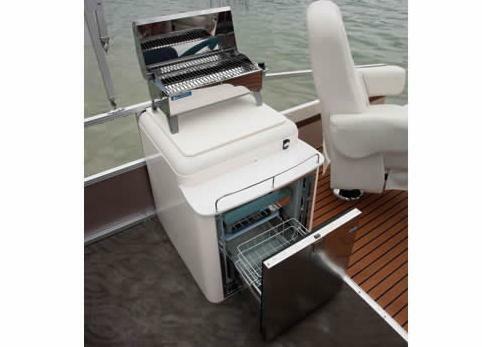 The 27’ model also has a refrigerator center and sink for a complete entertaining experience. 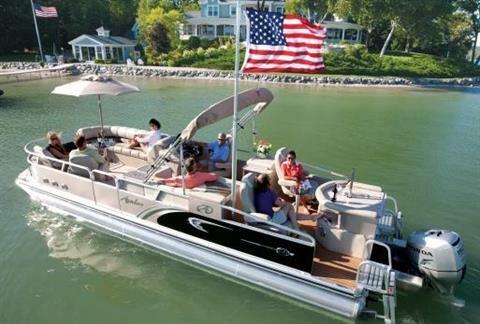 When you are all set, raise your flag on the standard 25’ flagpole to let your friend know where the party is.